The South Coast has some of Iceland’s quintessential sights, including vivid blue glaciers, numerous powerful waterfalls, volcanic black sand beaches and infamously destructive volcanoes. Experience it all on the Fire and Ice tour. 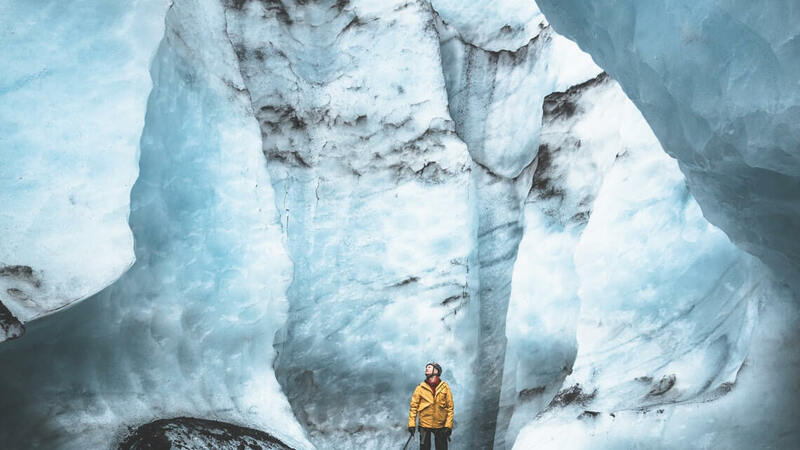 ✅ Glacier hike on Solheimajokull – explore the crevasses and blue ice on this wonder of nature. ✅ Small groups & personal experience – maximum of 12 people. ✅ Walk behind the 60m high Seljalandsfoss waterfall! 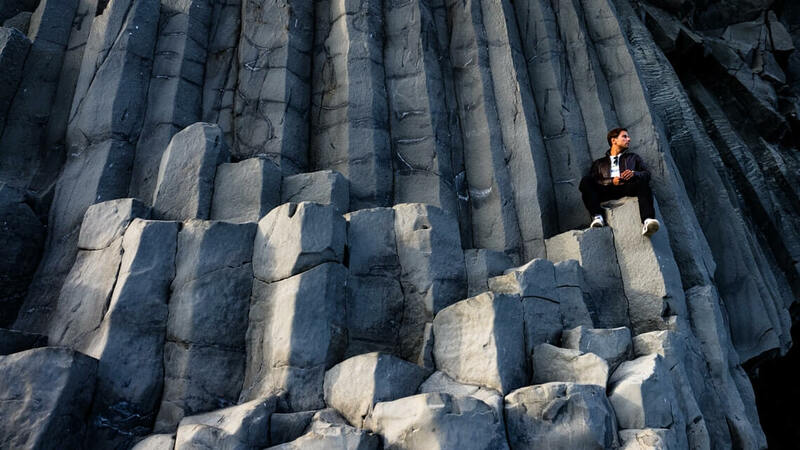 ✅ Watch the waves crash over Reynisfjara’s black sand beach and rock formations. 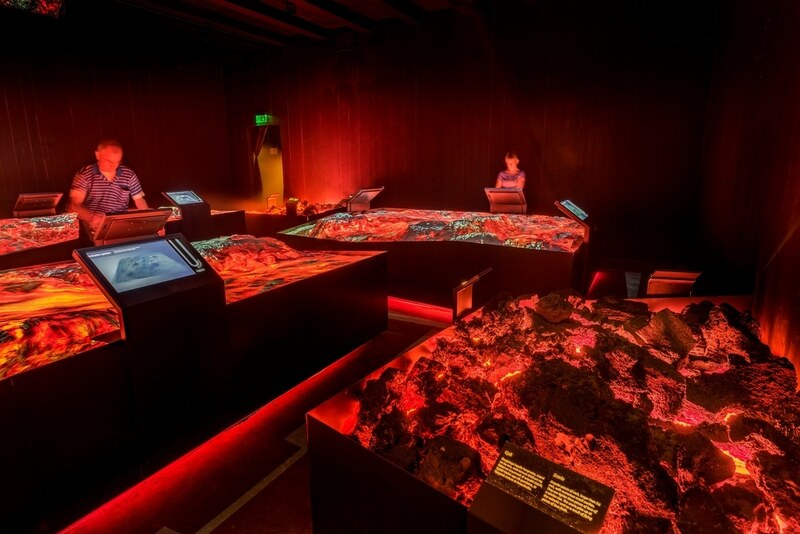 ✅ LAVA Center – an Interactive exhibition on Iceland’s volcanoes and explosive geology. ✅ Experienced glacier guide with all glacier equipment. ✅ Pick-up and drop off in Reykjavik included. Bring with you: Strong waterproof hiking boots (can hire for 1000 ISK), waterproof jacket and waterproof/water resistant pants (no denim jeans). Also bring warm clothing for the glacier hike (wool hat, gloves, extra layers)- especially in winter. The South Coast: Fire & Ice tour is an action-packed day that allows you to experience the best parts of the stunning south coast of Iceland. The south coast has some of Iceland’s quintessential sights. Vivid blue glaciers, numerous powerful waterfalls, volcanic black sand beaches and infamously destructive volcanoes. The South Coast of Iceland really has it all, and you can experience it all in one unforgettable day. This trip starts with pickups in Reykjavik from 8:00 am. We will then head out of town, driving through the beautiful Icelandic landscape to the town of Hvolsvollur. Here, we make a quick coffee break and a chance to buy some snacks to keep us going for the day. 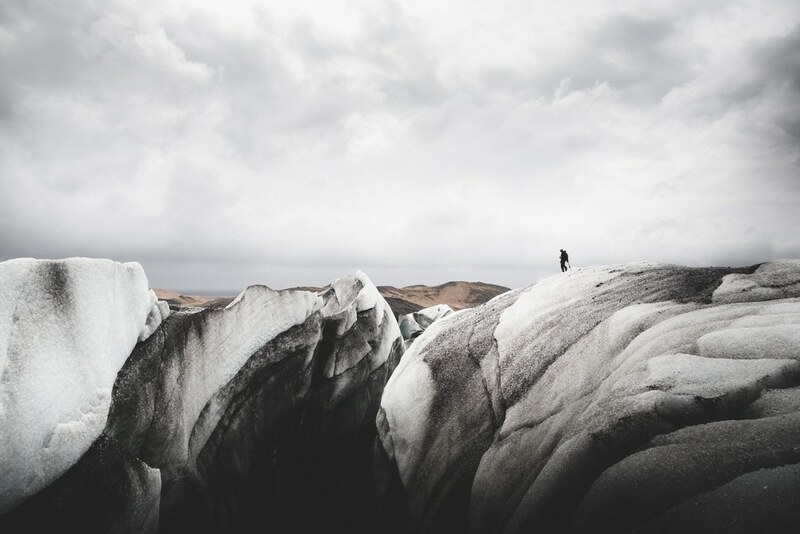 From there, it is not long until we arrive at one of the highlights of the trip, the stunning Solheimajokull glacier, flowing down from the enormous Myrdalsjokull icecap. There we will be able to hike and explore the unique ice features. 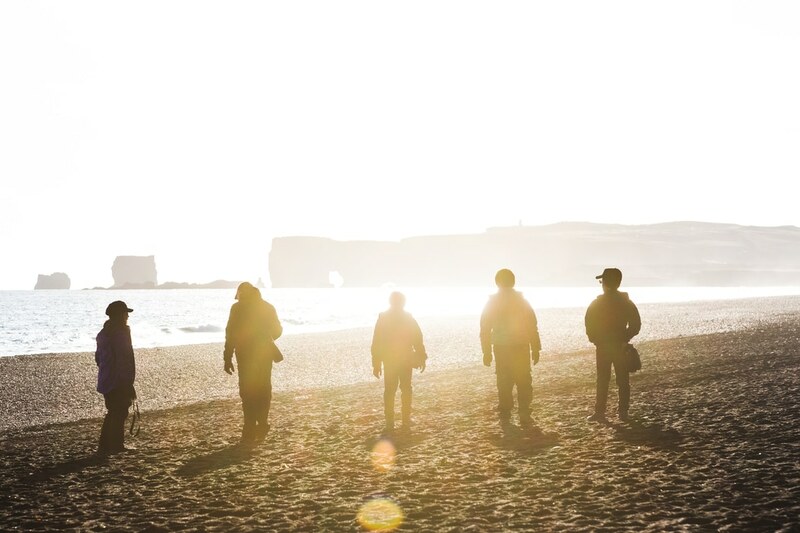 After our hike, we head to Reynisfjara to see the amazing rock formations at this spectacular black sand beach as well as eat lunch at the Black Beach Restaurant. We will then head back to Reykjavik, but not before stopping at some of the most breathtaking natural sights in Iceland. 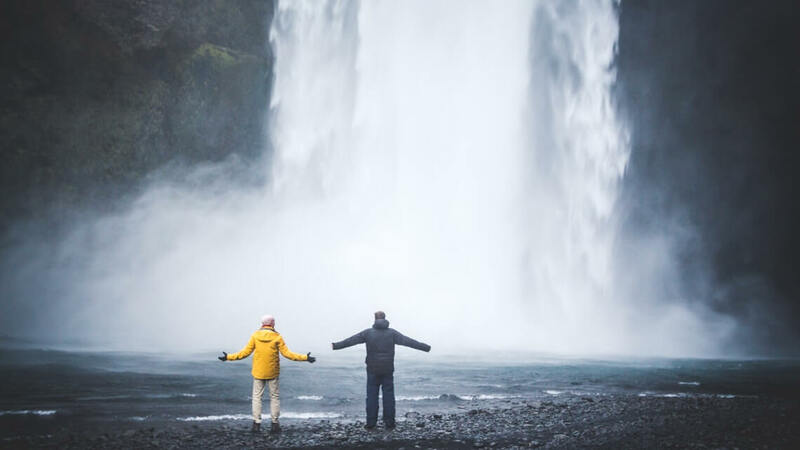 The Seljalandsfoss, Skogafoss and Kvernufoss waterfalls will impress in their own way. 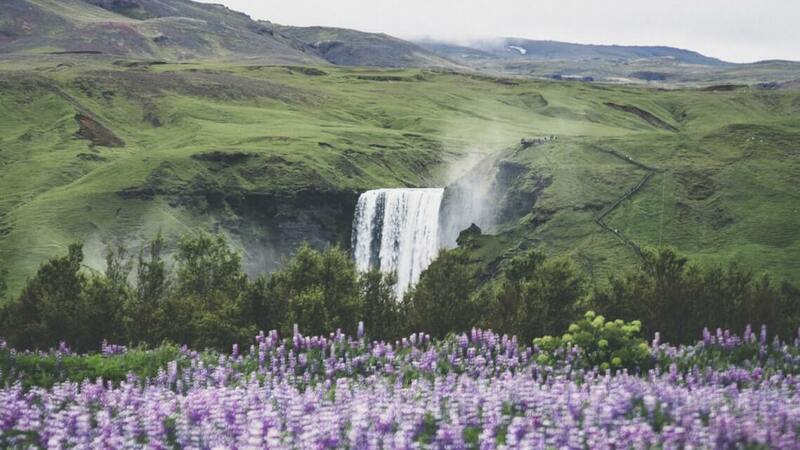 On clear days you will be in awe of the infamous Hekla and Eyjafjallajokull volcanoes, as well as the towering Westman Islands, rising straight out of the North Atlantic Ocean. 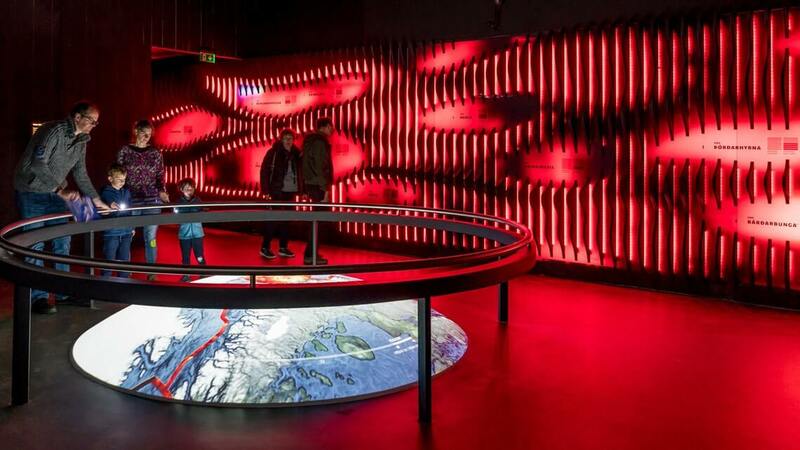 Our last stop before reaching Reykjavik will be the newly opened interactive LAVA center, where we can learn all about the volcanoes we have seen throughout the day, before reaching the city in time for late dinner.